Accessibility: With UAE nationals representing less than 10% of Dubai’s total population, Dubai not only accepts foreign investment it in more ways than one flat out needs it. Due to this simple fact, the Dubai Government has gone out of their way to ensure investing in Dubai has is as easy and complication free as possible. Price: When compared to the other global cities, like Paris, London, etc., property prices in Dubai are not only inexpensive but also represent great value. With population numbers growing and the demand for properties increasing every year this means a tremendous amount of scope for capital growth. Liquidity: Being a global city and a trading hub that it is, Dubai has massive appeal to both its residences as well as foreigners looking to invest abroad. This combined with very low property acquisition costs makes Dubai real estate market one that is extremely liquid. This is a great benefit to buyers and sellers who may need to sell or buy quickly. Safety: It’s been often said that Dubai’s best commodity is safety and for good reason. Crime levels in Dubai are among the very lowest in the world. The government places a lot of importance on good living conditions and quality of life and ensures these are achieved. Leaving doors unlocked and personal belonging unattended may be a thing of the past in many western countries but certainly not Dubai where it’s still very much common practice. Tax-Free Investing: It may be hard to believe but yes, Dubai’s real estate market is tax-free. Purchasing, selling or leasing a residential property does not include any taxes. This means any capital gains obtained are 100% for the seller to keep. Something that most property sellers in western counties could only dream about. Growing Populations and Booming Tourism Industry: With over 15 million overnight visitors per year, Dubai is one of the most visited cities in the world. This continuously growing number along with a growing population places Dubai’s economy in a strong position for years to come. Expo 2020 is in Dubai: As most already know Dubai is hosting the next World Expo to be held in October 2020. The Expo will run for a period of 6 months and is set to attract around 25 million visitors from over 170 nations. 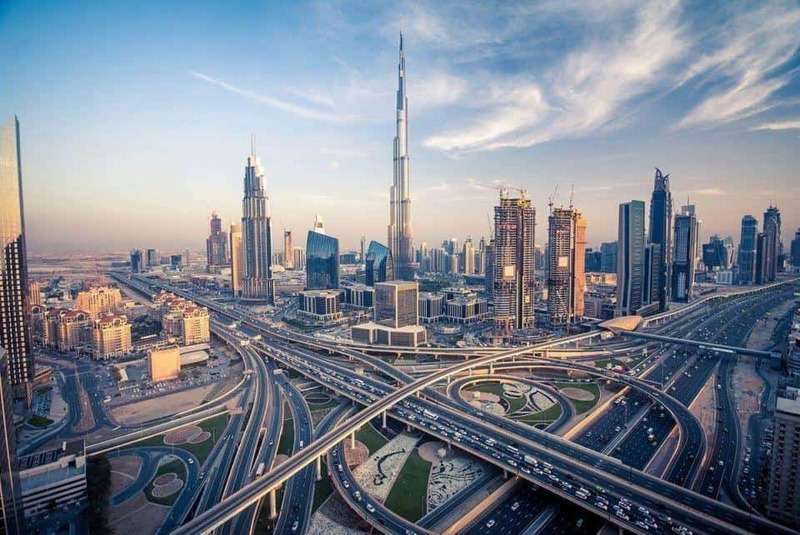 With preparation already well and truly underway the World Expo will not only showcase Dubai to a huge global audience, but preparation for Dubai will also further improve the city’s already world-class infrastructure. There are not too many cities around the world that share the same commitment to growth and development like Dubai. It’s a city that was truly transformed itself over the last 20 or so years but even more importantly for would-be investors, it’s a city that has no signs or intentions of slowing down.